Small Animal Talk: Should animals be used for cosmetic testing? Is cosmetic testing on animals based on outdated science? (image Brian Gun, IAAPEA). When I was in high school I learned about testing cosmetics on animals. Activists like Henry Spira and the advent of companies like The Body Shop did much to increase awareness around the issue and indeed it did appear that cosmetic testing fell out of favour, at least in the eyes of the public. 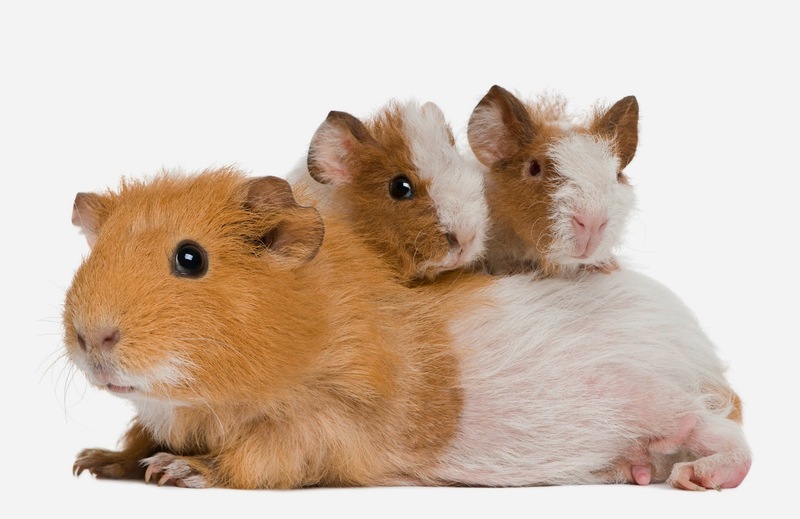 Guinea pig (image courtesy One Voice). Many companies moved away from animal testing, at least that which could be avoided, and others used the “not tested on animals” claim to sell their products. In some cases it was a matter of money, in some cases a matter of red tape, but testing of cosmetics of animals has managed to hang around. In a world where we have a choice, where we have alternatives, it doesn’t seem in line with the 3-Rs (replacement, reduction and refinement), nor does it seem fair: it doesn’t seem reasonable that the desire for me to paint my face or shave my legs could cost another creature its life – nor doom it to thousands of hours in confined housing. After what seemed like a major uproar about the practice in the 1980s and 1990s, it seems kind of shocking that cosmetic testing continues. Humane Research Australia and the Humane Society International is campaigning to have cosmetic testing on animals banned in Australia. It’s received a lot of corporate support, as evidenced by the openletter to the Minister for Health and Sport, Dr Peter Dutton. We decided to find out a bit more about the campaign from coordinator Hannah Stuart. Humane Research Australia and the Humane Society International are running the Be Cruelty Free Australia campaign to ban cosmetic testing on animals. One of the arguments is that such testing is outdated - why do you think it still occurs? 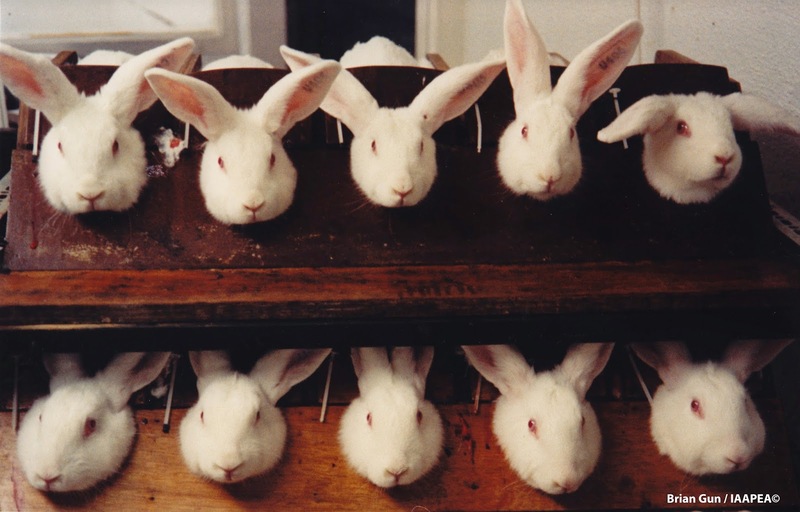 Humane Society International (HSI) estimates that around 500,000 animals – mainly rabbits and rodents – are used each year around the world in tests of cosmetic ingredients or products. Testing of chemical raw ingredients may be dictated by a country’s regulatory framework for new chemicals, which often imposes escalating data/testing requirements depending upon the annual production volume for a particular chemical. Longer-term testing may also be triggered or waived depending upon the results of shorter-term tests. Many countries’ regulatory frameworks for new chemicals are out-of-step with more advanced methods of toxicological testing. Australia’s current chemicals safety assessment regulatory framework requires some animal testing for raw ingredients (including ingredients used in cosmetics). However, there is an undeniable global shift away from cosmetics animal testing. Both animal testing of cosmetic products and ingredients and the sale of animal tested cosmetics have been banned in the 28 member states of the European Union (the world’s largest cosmetics market), Norway, and Israel. Most recently, India and the Brazilian state of São Paulo have banned cosmetic animal testing, with India expected to implement an additional ban on the sale of animal tested cosmetics soon. Furthermore, in the United States, the Humane Society of the United States leads Be Cruelty-Free USA and earlier this year welcomed the introduction of the Humane Cosmetics Act, which, if successful, will see animal testing for cosmetics banned in the US. The Bill has already garnered bi-partisan support and 54 additional co-sponsors. In New Zealand the Be Cruelty-Free NZ campaign is asking for a cosmetics animal testing ban to be included as part of the Animal Welfare Act overhaul. Legislative measures seeking to end the use of animals for cosmetics testing are currently also under discussion in China, Brazil, South Korea, Canada, and beyond. Rabbit subject to the highly controversial Draize test (image courtesy of PETA). "Science" is used to justify extensive animal testing, but both HRA and HSI believe animal testing is based on "bad science". Can you elaborate a little? The campaign to ban animal testing of cosmetics isn’t scientifically motivated, although the scientific case for banning these outdated tests is compelling indeed. We believe that it is morally unjustifiable to cause animals untold pain, suffering and death to test vanity products. We simply don’t need a new shade of lipstick enough to justify testing on animals, especially when hundreds of cruelty-free companies ably demonstrate every day that it is perfectly possible to produce fabulous cosmetics without hurting a single animal. However, it is important to understand that eliminating these animal tests is good for people and science as well. That’s because most animal toxicity tests were developed in the 1940s at a time when science's understanding of toxicity and how chemicals lead to toxic effects in the human body, was much more basic. Animal based tests have significant scientific limitations that make them less than ideal for assessing potential human health effects. Different species — even different strains and genders of the same species — can respond differently when exposed to the same chemicals [Ed - as a vet we know this to be true for a range of drugs, i.e. 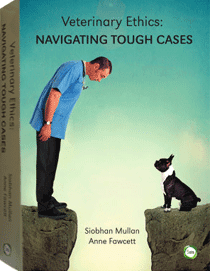 some drugs that are non-toxic to dogs are fatal to cats, for example]. Consequently, results from animal tests can under- or over-estimate real-world hazards to people, as well as highly variable and difficult to interpret. Unreliable and non-predictive animal tests mean consumer safety cannot be guaranteed as long as animal testing is used. Replacing animal testing would mean cosmetics are produced using cutting-edge science rather than out-dated tests on other species. There is a compelling consumer safety benefit in moving away from animal testing. EpiSkin - image courtesy ECVAM. Around the world, cosmetics companies can avoid new animal testing by using the thousands of existing cosmetic ingredients available that have long histories of safe use, together with the more than 40 advanced non-animal tests validated for use. Non-animal tests represent the very latest techniques that science has to offer and have a number of advantages over traditional animal tests: they cause no animal suffering, offer test results that are more relevant to people, and often produce cheaper and faster results. 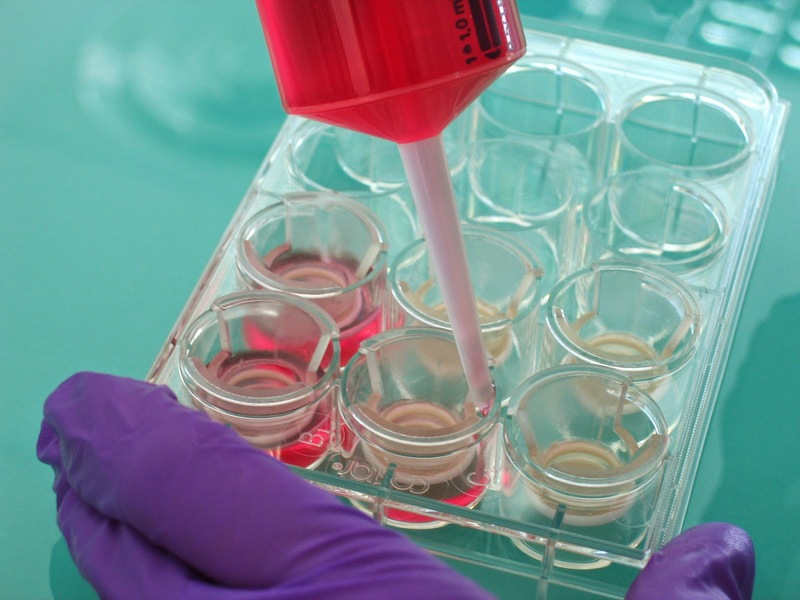 For example, there are a number of skin tests available that use human reconstructed skin, such as EPISKIN, EpiDerm and SkinEthic, as wells as the 3T3 neutral red uptake test for sunlight-induced “phototoxicity”. Given that much of the industry has turned its back on cosmetic testing on animals already, why is it so important that the practice is banned? 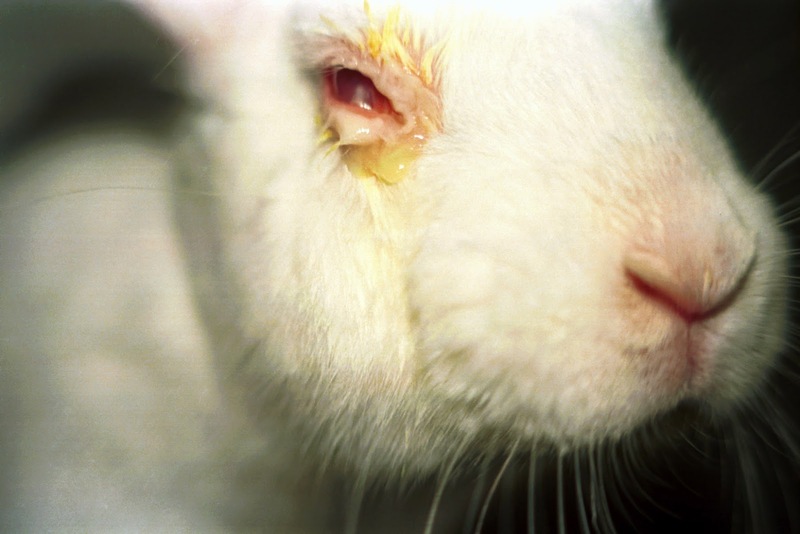 It is often reported and assumed animal testing for cosmetics does not take place in Australia. However, the truth is we don’t know one way or the other because no definitive statistics are published. Animal testing on cosmetics ingredients could be taking place, albeit likely on a small scale. However, for as long as there is no test ban, there is always the possibility of cosmetics cruelty in Australian labs now and in the future. This is particularly the case as more countries globally ban animal testing of cosmetics. Some companies will seek out new territories to shift their animal testing to, so we also want to secure an Australian test ban to ensure that Australia doesn’t become a testing dumping ground in the future. A sales ban on newly animal-tested cosmetics is also vitally important and this would mirror the dual test/sales ban in the EU. If companies around the world know that lucrative cosmetics markets will be closed to them if they continue to test on animals, that’s a powerful incentive to switch to cruelty-free manufacturing. If someone wants to buy cosmetics, how can they be really sure that they are cruelty free? In Australia, consumers can use the ChooseCrueltyFree.org.au and Leaping Bunny guides to buy cosmetics that have not been animal tested. Your readers may also be interested in learning about the issue of cosmetics animal testing by checking out Be Cruelty-Free’s handy infographic here. They can also pledge to Be Cruelty-Free here. You and your readers may also be interested in the following opinion poll figures. A recent opinion poll by Roy Morgan Research also showed a significant level of consumer concern about animal testing of cosmetics. The data revealed that there is an 'undeniable shift towards cruelty-free beauty products', with 'Not Tested on Animals' being one of the top 3 features that Aussie female consumers look for when buying cosmetics, ranking higher than anti-ageing benefits and sun protection factor. Thank you Hannah for your time. This is an interesting ethical issue as experiments on animals are typically justified via a utilitarian, cost/benefit analysis. Even from a pure utilitarian perspective its hard to justify animal experiments for cosmetic reasons. But as with many ethical issues, this one raises loads of question. Economics is clearly a major factor. Change is often driven by consumers. Do they care? If so, will they be motivated to act? Do companies always need economic incentive to operate ethically? How much do scientists adhere to the 3 R's in animal experimentation? Are some research techniques performed purely because "this is how it has always been done" and/or "because it has to be done this way" - and what does it take to effect change?